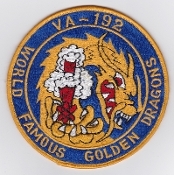 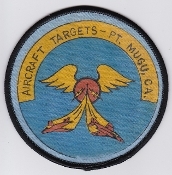 US Navy Aviation Attack VA 192 Strike Fighter Squadron ATKRON Patch Wold Famous Golden Dragons 1970s A 7 Corsair Asian made Fully emb merrowed edge 125mm four and fifteen sixteenth inches diameter. 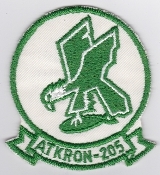 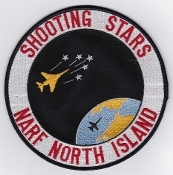 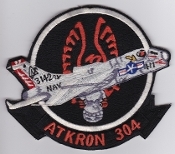 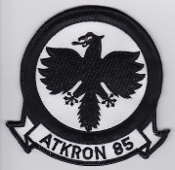 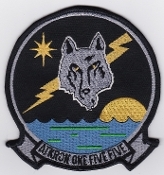 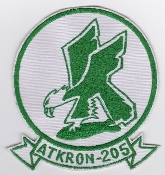 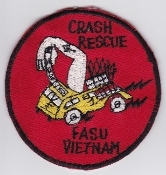 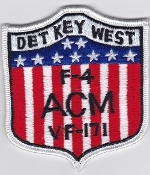 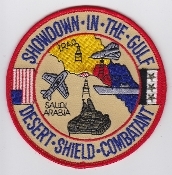 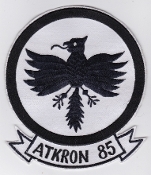 US Navy Aviation Attack VA 304 Strike Fighter Squadron ATKRON Patch Firebirds 1970s A 7 Corsair Asian made Fully embroidered cut edge 117mm by 134mm four and five eighth inches by five and one quater inches. 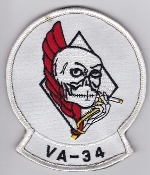 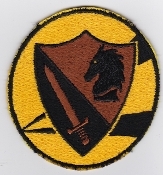 US Navy Aviation Patch Fighter VA 52 Attack Squadron Patch Knight Riders 1965 A 1 Skyraider Over Vietnam Japanese made Fully emb cut edge 132mm by 111mm five and three sixteenth by four and three eighth inches. 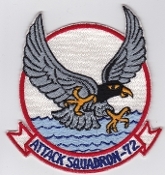 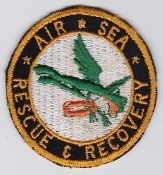 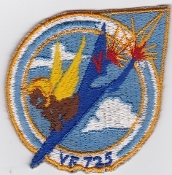 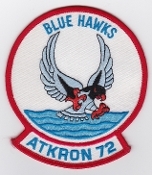 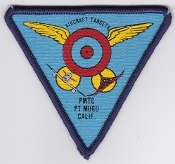 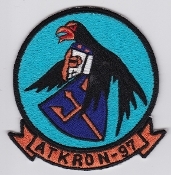 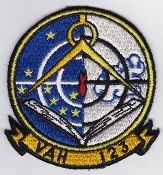 US Navy Aviation Patch Fighter VA 72 Attack Squadron ATKRON Patch Blue Hawks 1980s A 7 Corsair Embroidered on twill merrowed edge 114mm by 100mm four and one half inches by three and fifteen sixteenth inches. 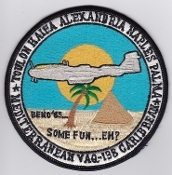 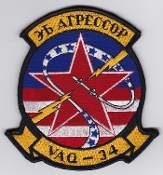 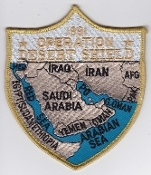 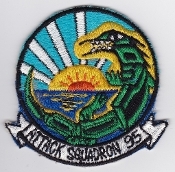 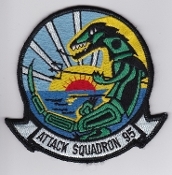 US Navy Aviation Patch Fighter VA 95 Attack Squadron Patch Green Dragons 1980s A 6 Intruder Fully embroidered merrowed edge 113mm by 119mm four and one half inches by four and eleven sixteenth inches. 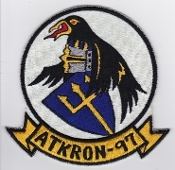 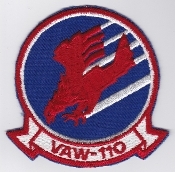 US Navy Aviation Patch Fighter VA 97 Attack Squadron ATKRON Patch Warhawks 1967 A 7 Corsair Over Vietnam Japanese made Fully embroidered cut edge 114mm by 117mm four and one half by four and five eighth inches. 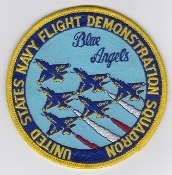 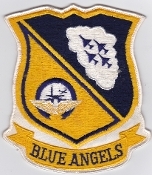 US Navy Aviation Display Blue Angels Navy Flight Demonstration Squadron Shield Patch 2000s FA 18 Hornets Embroidered on twill merrowed edge 100mm three and fifteen sixteenth inches diameter. 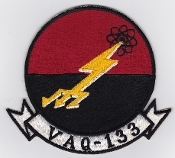 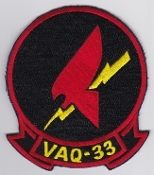 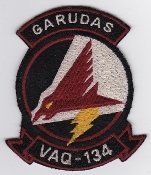 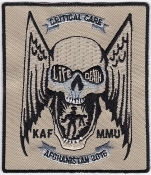 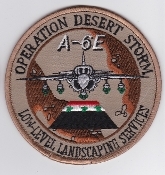 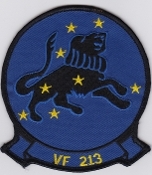 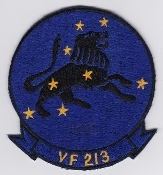 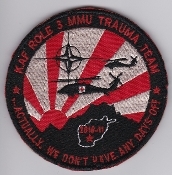 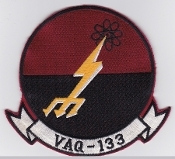 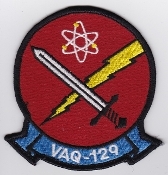 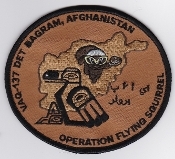 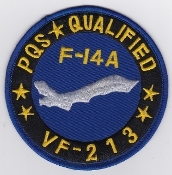 US Navy Aviation Electronic Warfare VAQ 137 Squadron Det Bagram Afghanistan Patch op Flying Squirrel Rooks 2003 A 6 Prowler Emb on twill merrowed edge 95mm by 107mm three and three quarter by four and one quarter inches. 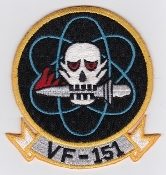 US Navy Aviation VF 151 Fighter Squadron Vigilantes F 4 Phantom 1980s NAF Atsugi Japan USS Midway Fully embroidered cut edge 99mm by 95mm three and fifteen sixteenth inches by three and three quarter inches. 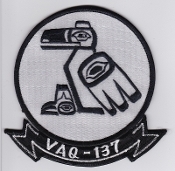 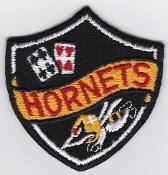 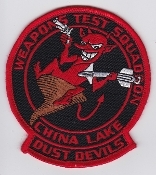 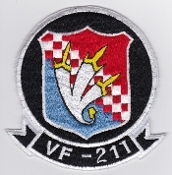 US Navy Aviation VF 74 Fighter Squadron Patch Be Devilers 1970s F 4 Phantom Asian made Embroidered on twill cut edge 109mm by 87mm four and three sixteenth inches by three and three eighth inches.